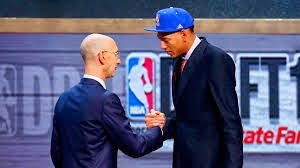 Isaiah Austin, as you may know, was medically forced to stop playing basketball due to a genetic heart disease called Marfan Syndrome. He would have been drafted by an NBA team, and yes, probably would have signed a lucrative contact. It is best when faced with a loss, or road block that forces you to change your goals to take inventory on what was lost, what you have, and where can you go from here. 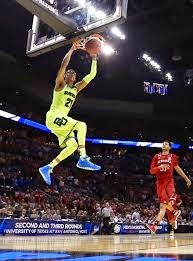 I will say to Isaiah Austin that you have a lot, and you can go a long way. Isaiah, you will have a degree from Baylor University, one of the finest higher institutions of learning in this country. You would have been selected from one of the lowest probability of employment in the world. It only used to be picks from this nation when I was growing up dreaming of what you would have accomplished. There are close to 5400 college basketball athletes, in America, playing for what you would have accomplished, and there are only 60 draft picks, and from those 60 picks some of those will not make a roster. You now have to add on all of the professional teams around the world. That works out to a less than 1% chance of being drafted. Isaiah, you can look to the future, and it is my understanding the NBA is considering hiring you once you finish your degree program at Baylor. There are many avenues you can take with your experiences, already, in your very young life. Reach out to those who guided you, and some that may be of help. Keep moving in a positive direction, and lament in your disappointment briefly, but see the positives in your new direction. Also, be patient. Some of us have never experienced real pain and adversity at your age, and true character is measured not from when things are going well, but how you react when adversity takes over. Finally, reflect, but don’t dwell, and I will leave you with this, as told to me by several mentors; when you are driving through hell, don’t stop to get out and linger, keep going. I wish you the best, and make your life excellent.